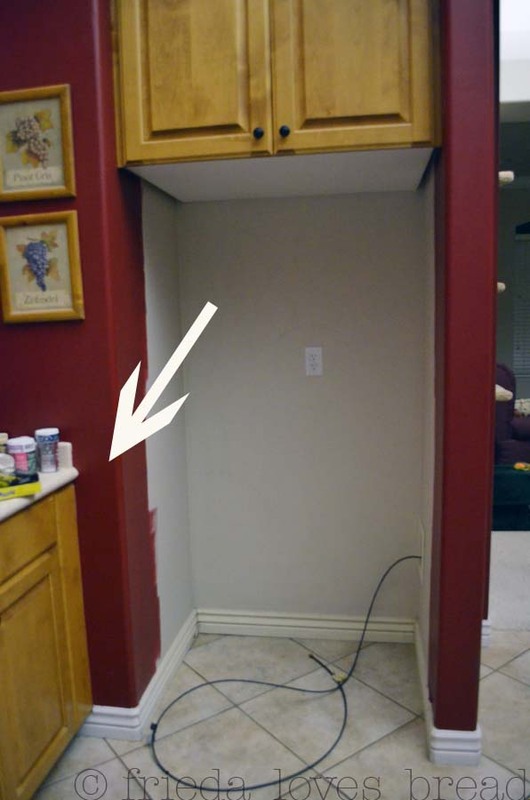 Frieda Loves Bread: 4 Kitchen Design Flaws: Should It Stay or Should It Go? 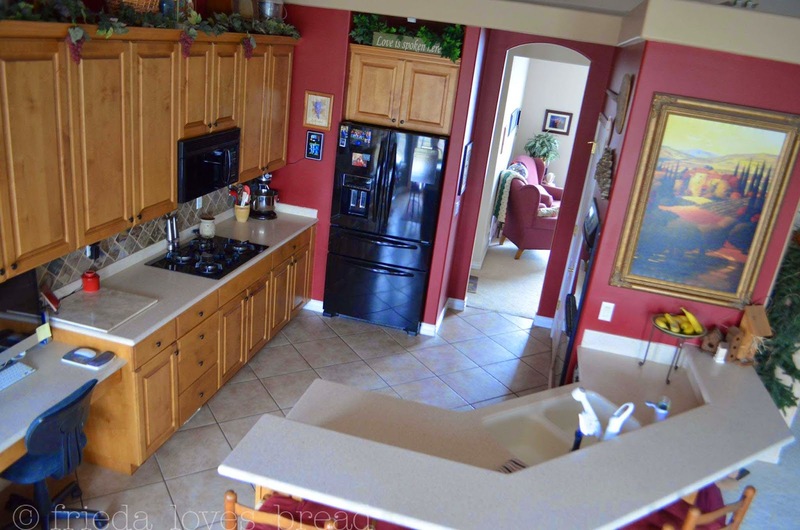 0 4 Kitchen Design Flaws: Should It Stay or Should It Go? I have been with my kitchen for almost 17 years. It has been by far the largest and most used kitchen I have ever lived in. It is one of those "cookie cutter" kitchens that were so much like others in my neighborhood and made the selection process very easy. "Which of the three cabinets do you want? Oak, Maple or Alder?" We chose alder for it's warm color. Cabinet knobs were either solid brass or nickel. Counter tops were solid surface and choices were limited. The only wide range of choices we had were in the lighting. 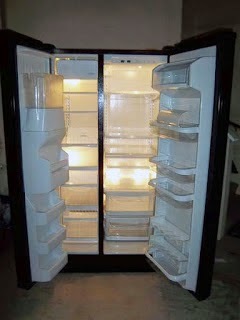 So excited to move in, the first thing I did was open the refrigerator. Boom. The lights went out. Opening the fridge door blew a fuse. Grrrrrr.... called the contractor and he immediately fixed it the next day. Boom. The fridge left door stopped and banged against the counter. For the next 12 years, I would not be able to access the the fridge drawers fully because of this major design flaw. That was why I was so thrilled when it finally died and I got another beautiful fridge, which only partially solved the problem. In spite of our limited choices in building this home, I was adamant that we would have a double oven. The kitchen was designed to have a built in range/stove, but I insisted on the double oven. 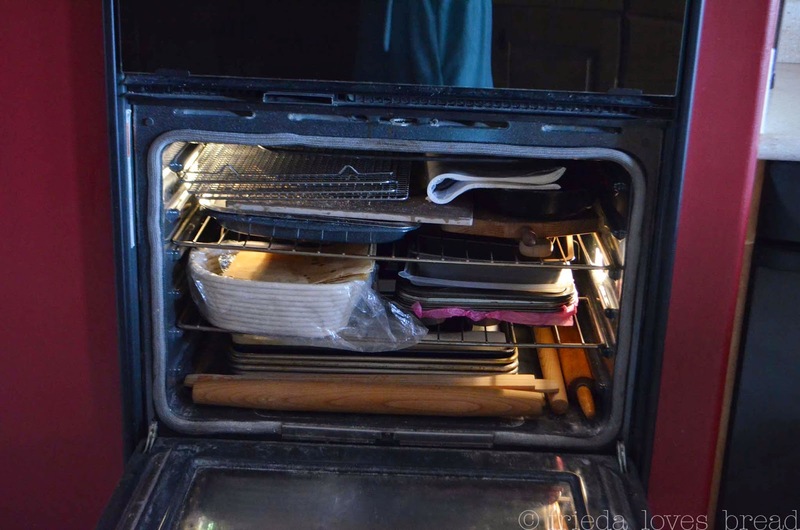 They didn't build any storage above OR below the double oven. Sheeze. So, here is where my baking pans, parchment, rolling pin, etc. go... in the bottom of the double oven. I hate having to unload everything each time I use this oven, which is great for large group gatherings. 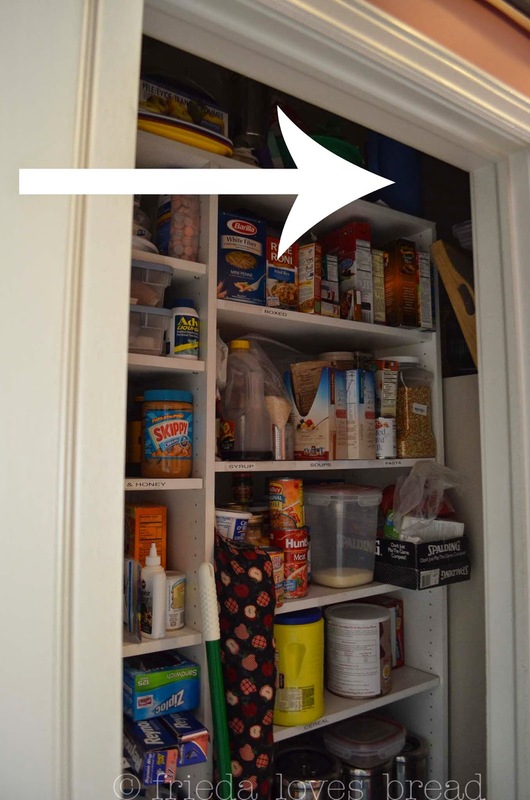 In my walk in (more like "step in") pantry, I was left with was this black hole where odds and ends would disappear....DESIGN FLAW#3. In the evening, the pantry is very dark and it is difficult to see things, especially on the upper two shelves and the bottom shelves. 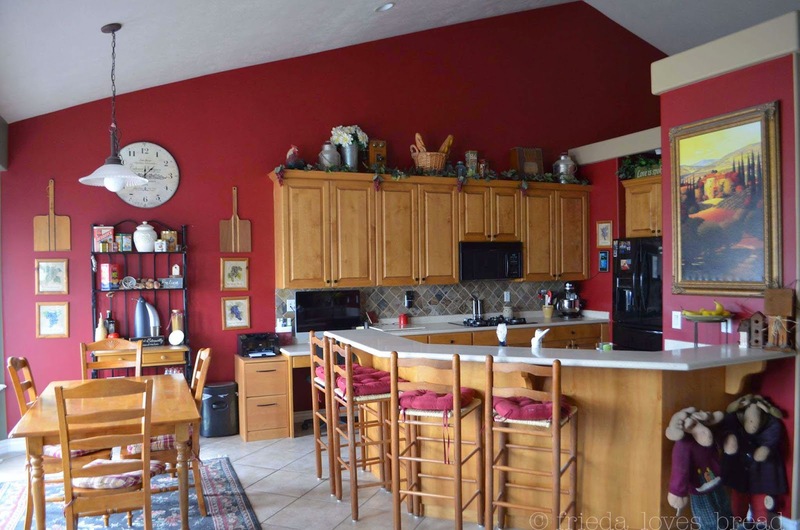 Over the years, this kitchen has served me well, but I think it's time for a change, don't you?